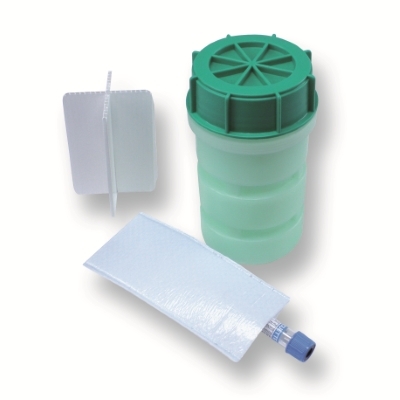 A P620/P650 500ml green leak proof container complete with plastic shock absorbers and absorbing tube holders. Just drop in your samples and seal the lid. To be used with an outer container and clearly labelled.